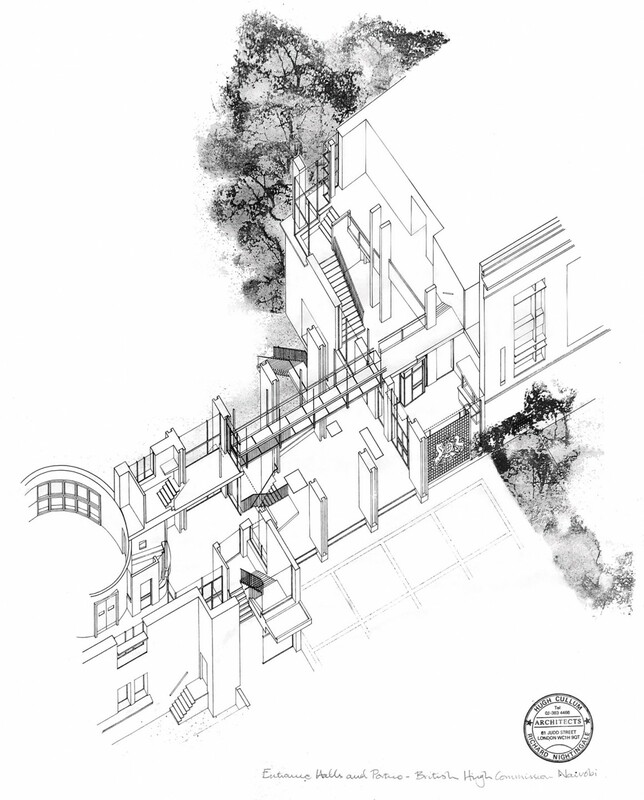 We won a limited competition to design this complex project, which houses three administrative departments, each with its own overlapping requirements for access and security. 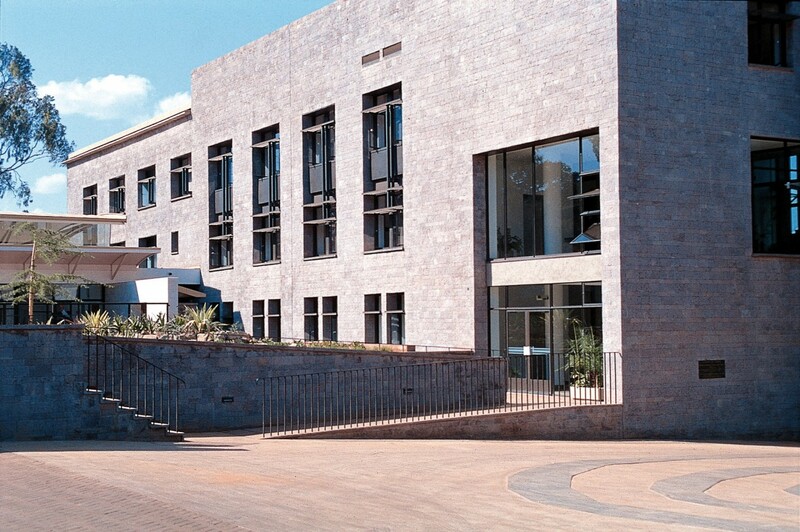 The building, ranged along the ridge of a hill, takes advantage of wonderful views over Nairobi. 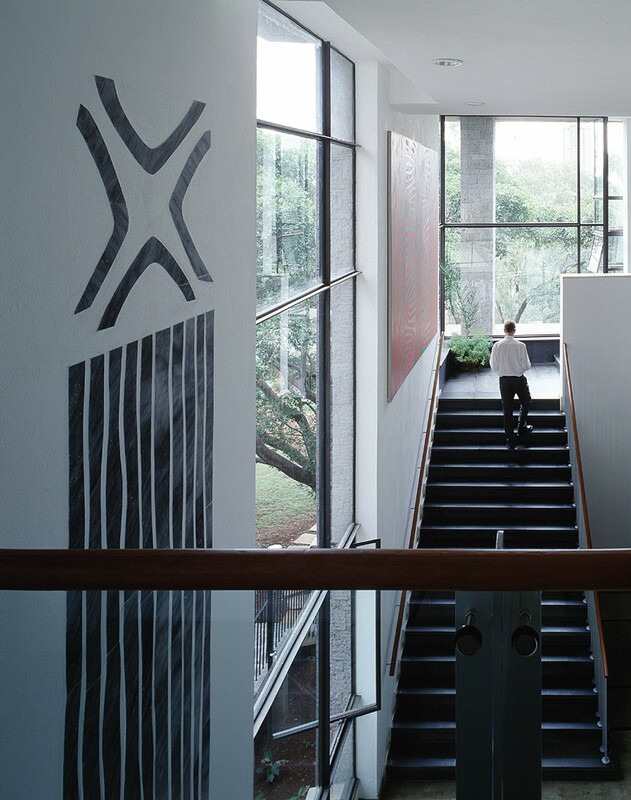 It includes offices, meeting rooms, exhibition rooms and public assembly spaces. 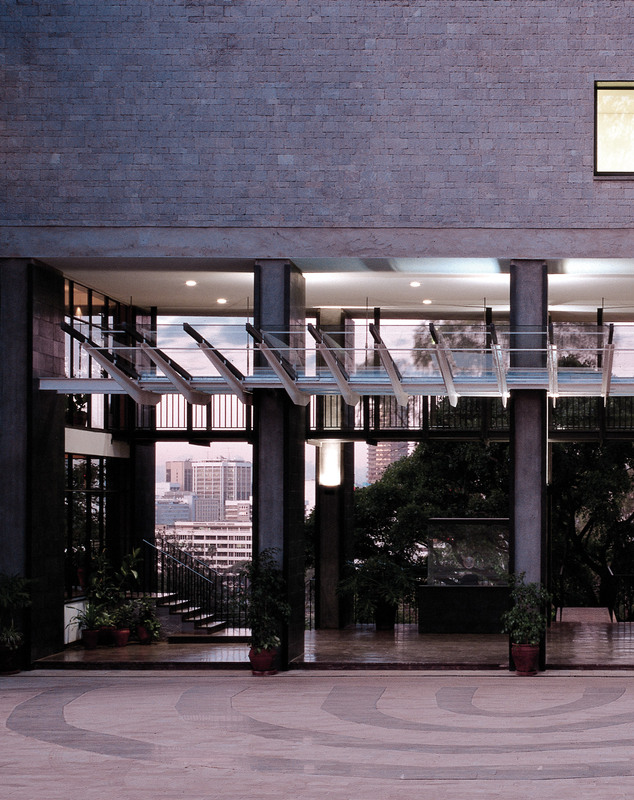 An open portico splits the building and allows visitors to look through the building to the city and High Commission gardens below.